Welcome to the regular War Report for week 10.06 - 10.13! Exertion, once again, took the top kill fame position along with most combined GvG wins for the week. Their ongoing war with the LMAO alliance recently took a sharp turn in Exertion’s favor, while Tea Party’s GM Machete was on holiday. 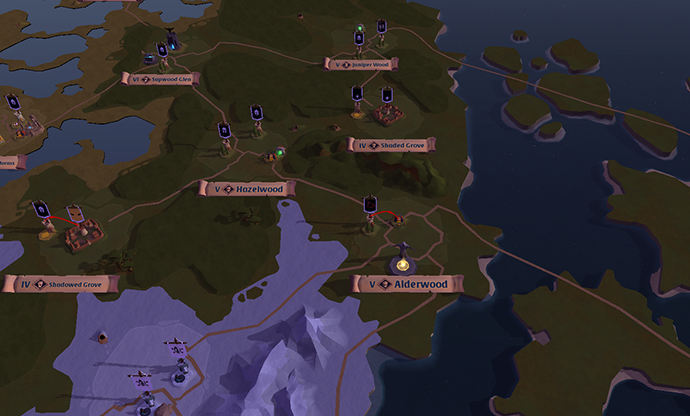 In his absence, Exertion were able to pick up all but one of Tea Party’s territories in less than a week. Not content with just taking on LMAO, they also reminded Gentlemen to stay in their home plot, retaking all territories lost previously. Money Guild, once the uncontested dominant force of Mercia, found themselves pushed all the way back to their home plot and was forced to defend its farm on a number of occasions. So far, however, they have been able to fend off attacks from both Black Mamba and Grey. The LMAO alliance now controls more than half of Mercia. Having soundly defeated OOPS and ZERG, their sights are set on fresh targets. Bad blood between Black Mamba and WarLegend recently resurfaced with Mamba making it clear that should the home plot defender bonus go down, so will the remaining Plots of WarLegend in Mercia. The effects of the war for Mercia can also be felt in Cumbria, where Team Casualty, led by Manchild, took advantage of LMAOs push against OOPS by forcing fights against the B teams of Grey. Once firmly in the hands of LMAO, the swamps of Trimley were split. TC has taken considerable territories from LMAO in the past week, including a a few in Mercia. These recent acquisitions give WOKE considerable portal access and presence in both Mercia and Cumbria. The forests of Cannock, former lands of Chicken Kiss, was the site of a serious engagement. NERF worked hard to clear opposition from the area but WOKE-owned territories still flanked the forest running along its northern boundary, connecting TC and Exertion territories from Cumbria to Mercia. This made the journey between continents much safer and it is unlikely they will be given up without a fight. GEAR faced continued pressure from NERF as they moved south into the Grampian mountains owned by Say My Name, but were able to block the advance for the time being. 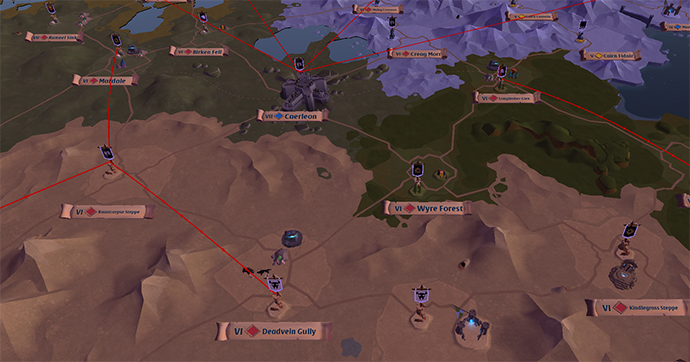 However, the same cannot be said of their holdings in the Pennine highlands where Crimson Imperium Reborn seemed intent on taking more territories, now controlling all the way to the Anglia land bridge. Fewer flags were seen in Anglia in recent days. Frogue One, Sun, Lads, and Black Mamba were hard at work this week spreading their influence across the land at the expense of others. Frogue One have been making quite a name for themselves in the last few days, appearing practically out of nowhere to become one of the more dominant forces in Anglia. The first guild to take a home plot through conventional means, they are clearly a force to be reckoned with. The Lads, led by Lewpac, continued to expand their territory as they marched west to the lands of ZORN. Lugzi’s team had to retreat from Mercia and the Royals but seems intent on keeping what lands they still control in Anglia. 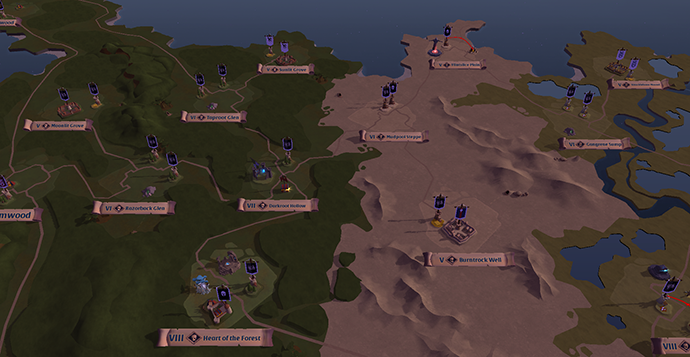 The Royal Continents have become a constant battleground with more and more guilds getting into the action each day. 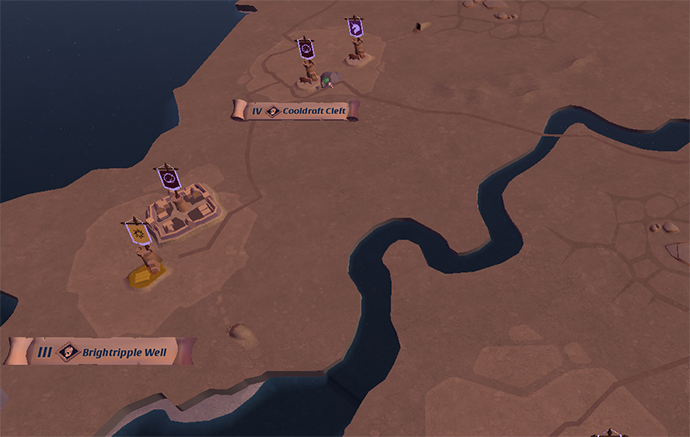 A short time ago, the vast continent was split between three Guilds: Kingdom, ZORN, and Nilfgaard. However, with multiple GvGs each day, the 10 men of Kingdom and their alternative characters were starting to lose ground. Nilfgaard still owns a number of plots including the big prize Caerleon but ZORN has been entirely pushed out. With an increasing number of guilds trying their hand at GvGs, the yellow zone war camps are now heavily fought over on a daily basis. What was once considered a casual playground has become one of the most hotly contested areas in the game with over a dozen different guilds now vying for space on the Royal Continents each day bringing more eager contenders to the field. Tune in for our live War Reports every Friday on twitch.tv/AlbionOnline at 10 UTC. Share your thoughts and your opinions with us in the comments below or on our forums!